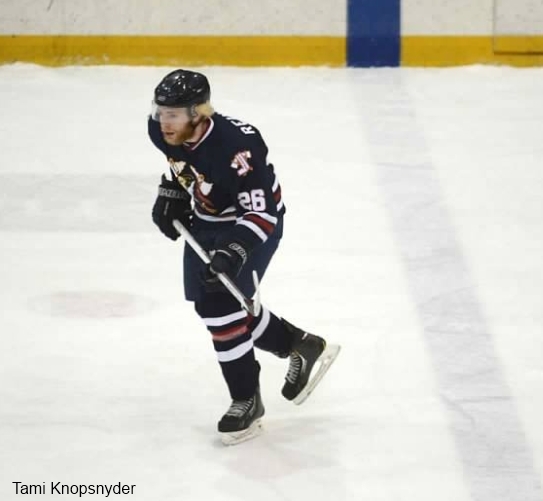 Today we will look at the last four players on the 2012-2013 Johnstown Tomahawks' roster. Tomorrow we'll end on part 4, which will highlight all the forwards that were traded, or released from the Tomahawks during the season. Schafer is the second Johnstown, Pa native on the team. Schafer was acquired in a trade with Wichita Falls on 1/10/2013 in exchange for Tomahawks' defenseman Kristaps Bazevics. Looking back at this deal, it was a fair trade for both clubs. 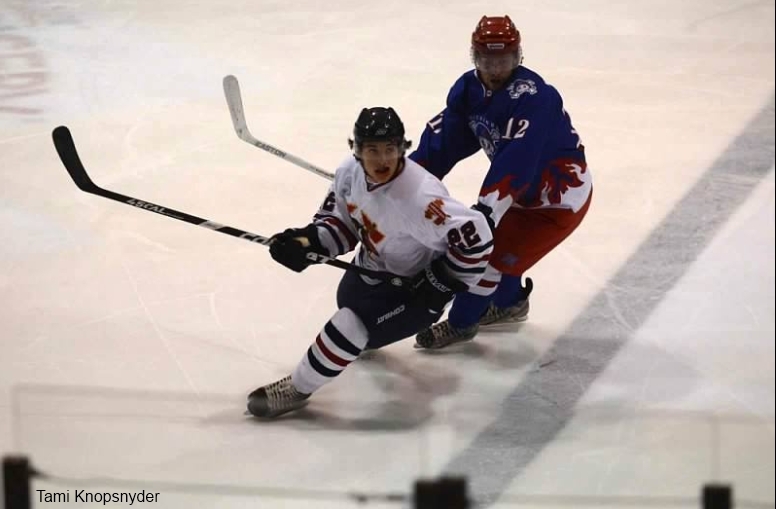 Schafer didn't play a lot this season for the Tomahawks due to injury. In total, Schafer, only saw the ice in seven games. His only point with Johnstown this season came against Soo on 1/13/2013. It was only his second game with the team. 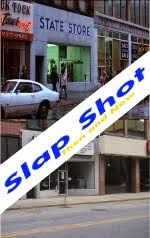 Since Schafer didn't play a lot this season I can't give a full review on how he did. In high school he was a leading goal scorer but at this level he looks like he'll be more of a grinder type of player. He's a pretty quick skater, and can throw some pretty big hits. It also looked like he was trying to play a role of a pest as well. One thing about this Tomahawks team, this year, was that we had too many of the same kind of players. Too many grinders and not enough goal scorers. Our pest is JB Baker, he's one of the best in the league in that role. If Schafer is back next season, he needs to find his scoring touch. Could he be a more physical Andrew McDonald type of player? Maybe. Reinholz was fourth on the team in points and third on the team in penalty minutes. He's been a teammate with Hall most of his life, and he wears his heart on his sleeve. In his first home game of the season, he showed just what type of player he was to the hometown crowd. In total Reinholz dropped the gloves four times. He was tied for second in power play goals, with seven on the season. He lead the team in game winning goals with three. His first game winning goal came against Kalamazoo on 10/28/2012, a 6-2 Johnstown win. His second game winning goal was on 1/31/2013, a 3-2 win vs Port Huron. His last game winning goal was vs Kalamazoo, again, on 3/23/2013, 3-2 win. Reinholz also had eight multi-point games this season. His best game came at the end of the season, 3/29/2013, vs Jamestown. It was a 5-0 Johnstown win and in the game, Reinholz scored one goal, assisted on two others, and was a +4. This season Reinholz was thrown out of four games. Three of those game were Abuse of Officials. Reinholz is another player that hopefully will learn from this season how to control his emotions a little better. In those three games where Reinholz was kicked out, the Tomahawks were 0-1-2. We're not saying that if Reinholz would have still been in the games that the Tomahawks would have won, but when you're a leading goal scorer on a team having trouble getting goals, you can't help out while in the stands. That's the only down side to Reinholz, and as he ages as a player, he'll learn the right times to yell at the ref. Reinholz is a player that could take over Kontny's spot in the lineup next year, on the first line. 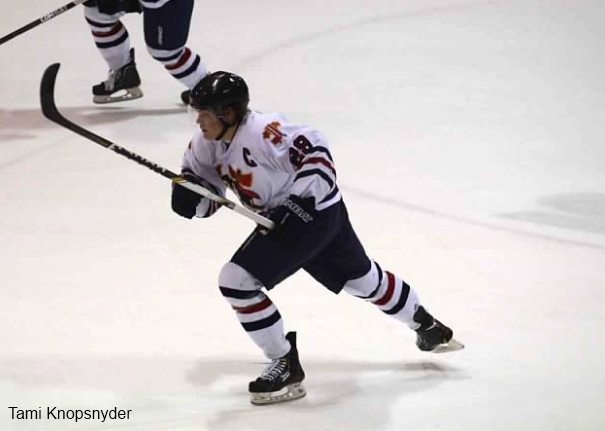 Gylling was the Tomahawks leading scoring this season. He lead the team in assists, he had the only two short handed assists, he was second in shots, and fifth in shooting percentage. One of Gylling's most memorable goals this season was a penalty shot goal vs Kalamazoo, with only five seconds left to go in the game, and the game tied at one. A special goal for Gylling as his parents were in the crowd for the game. Gylling had one fight this season, a fight that surprised everyone, because it was the first time in his career that he's dropped the gloves. That fight was vs Chris Kerr of the Wenatchee Wild on 2/15/2013. Gylling had a team leading eleven multi-point games. His best stretch of games was between 1/19/2013 and 2/16/2013, a total of 10 games. In those 10 games, Gylling scored 8 goals, 7 assists, good for 15 points, and was a +6. Gylling is a fun player to watch. With his line mate (Kontny) not coming back next season, Gylling might be a perfect fit for the new team captain. I wish Gylling would use the body just a little more in his game. It seems like every game where he lays a big check, only moments later, he scores a goal. 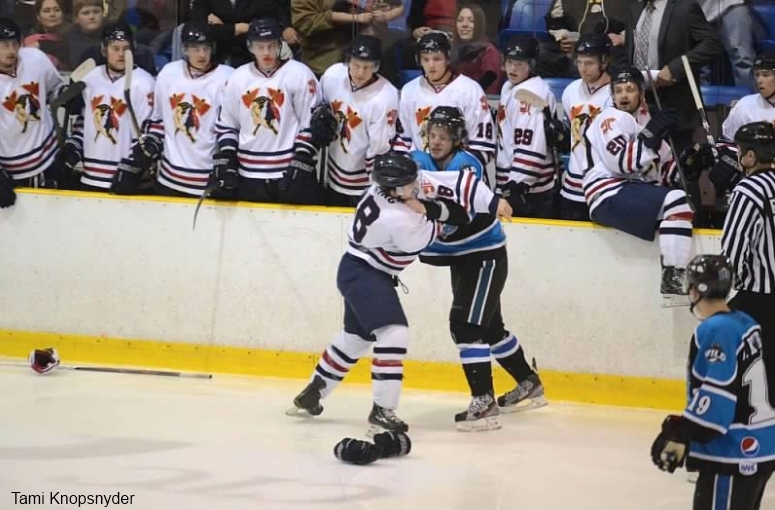 If Gylling would play else where next season it would be a huge loss for the Tomahawks. Kontny will go down in the history books as being the team's first captain in team history. Playing center on a line with Gylling and Watt, Kontny was second on the team in points. Kontny wasn't a flashy goal scorer, but always seemed to either score or assist on every goal this season. Between Kontny-Watt-Gylling, they factored in on 122 goals. 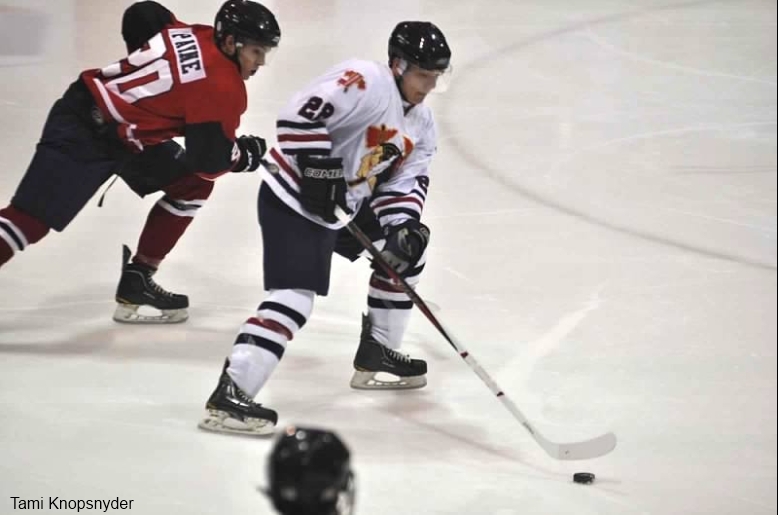 This season the Tomahawks scored a total of 179 goals. 68% of the Tomahawks goals, were either scored by, or assisted by at least one of those players. Kontny dropped the gloves once this season. That fight was against Soo's Robin Hoglund on 10/13/2012. It's going to be hard to replace Kontny next season. Not only was he a good point production player, but he was the team's captain and his line had such good chemistry. As of today, Kontny doesn't have a college commitment, but hopefully he'll continue playing the sport for years to come. Tomorrow will be our last post for our Year in Review: The Forwards. The players we'll look at are, Joe Bender, Brandon Brossoit, Gage Christianson, Evan Hesse, Jon Kostial, Brandon Platt, Payton Ruter, and Bobby Tritschler.